The Phoenix Film Festival is excited to announce the World Premiere of “Alice Cooper: Live from the Astroturf”, a documentary/concert film that captures the original band’s 2015 reunion. The documentary and concert film stems from a life-long Alice Cooper superfan Chris Penn who convinced the original lineup of his favorite band to reunite at his record store, Good Records in Dallas, TX, 40 years after the band parted ways. As part of the Phoenix Film Festival World Premiere, Alice Cooper and his bandmates as well as the director, Steven Gaddis will be in attendance. 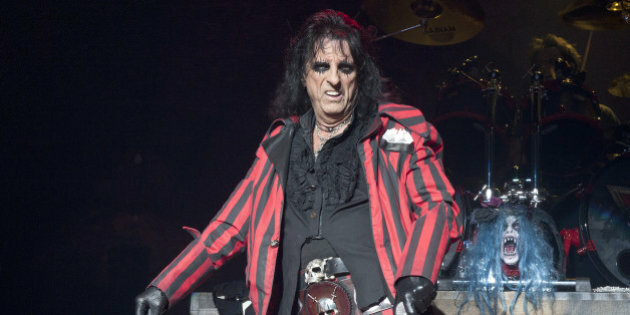 “Alice Cooper: Live from the Astroturf” will screen at the Phoenix Film Festival on Friday, April 5 at 7:50 p.m. To purchase tickets, visit www.phoenixfilmfestival.com. The 19th Annual Phoenix Film Festival will take place from Thursday, April 4 to Sunday, April 14. Continually breaking attendance records since its inception, last year’s festival saw over 28,000 attendees and there are hopes to pull in even more film enthusiasts this year. The eleven-day Festival will once again be held at Harkins Scottsdale 101 Theatre located at 7000 E. Mayo Blvd. Phoenix, AZ 85054. For movie lovers, this is an event not to be missed. Tickets and passes are on sale now and available through the Phoenix Film Festival website www.PhoenixFilmFestival.com. Tickets may also be purchased in person at the Phoenix Film Festival Ticket Center next to the Harkins Scottsdale 101 Theatre. Tickets range in price from $15 for a single screening to $450 for a platinum pass. For more information, call 602-955-6444.